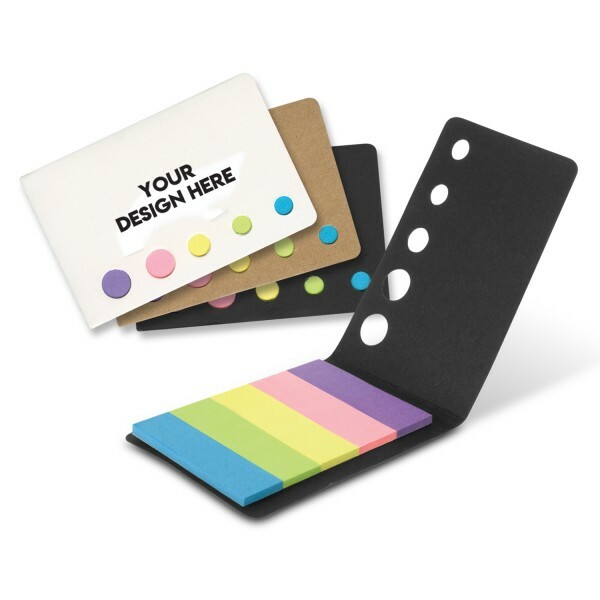 If you own a stationery store, book store, or business supply business, this unique promotional item may be the one you have been looking for. This little book of 125 assorted colour adhesive flags is awesome. How often have you wanted to flag a passage in a book or document, but didn’t want to dog-ear the page? This is the solution to that problem for sure. This little book of flags fits easily into a pocket or purse for ease of use and convenience. Your logo will stand out loud and proud on the front for all to see. It is subtle, yet the presence of it will make your logo visible to hundreds of people. We are a wholesale supplier, so we sell in bulk numbers and ship Australia wide. Price excludes GST but does include 1 colour and 1 logo brand placement. There will be a $60.00 decoration fee applied to orders. There is a standard two-week production time on this item, so contact us today. We have a dedicated and helpful customer service department who will be glad to answer any questions you may have or address any concerns regarding this item. We ship to your business address or directly to your next vendor show.